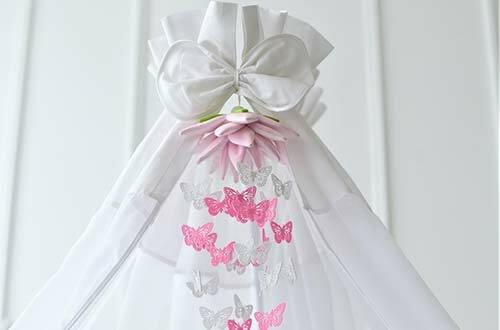 Dreamy canopies with playful motifs for the baby room / children's room. A canopy invites you to relax and linger. Versatile, also for outdoor use in summer. Decorate the baby room and use a canopy as a sky over the baby bed. Made of 100% cotton according to standard 100 by OEKO-TEX®, a textile canopy protects your baby from draughts and direct sunlight. In many great colours, printed with a plant / flower pattern from the FourSeasonsDream collection.